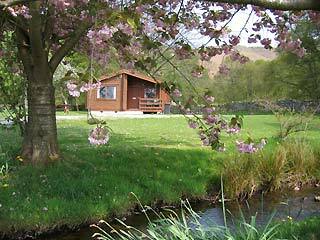 The four lodges share an acre of ancient orchard with fruit trees and a stream that opens out to the raft pool. What could be nicer than to sit out on the veranda with a gin and tonic and watch the world go by? 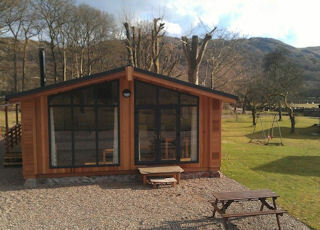 All lodges are South facing and the orchard is a natural suntrap. 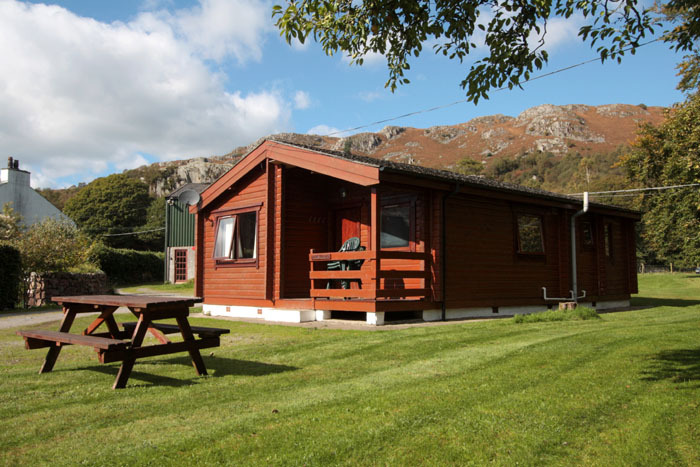 The lodges share the laundry and games room. The laundry has a washing machine, tumble drier, ironing equipment and freezer. 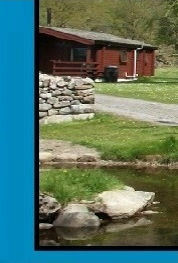 There is free Wifi internet access available on site. An Orange Pay As you Go mobile phone is provided for use during your stay as reception on other networks is poor. 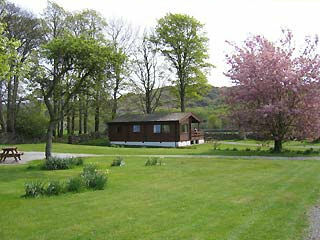 Crag View Lodge "Click here for details " Barngarth Lodge "Click here for details "
Field End Lodge "Click here for details " Wood Bank Lodge "Click here for details "